Skittles, the chocolate confectionery, is introduced as a product worth its weight in gold in a TV ad with references to the legendary King Midas whose touch turned everything to gold. Tim shows Joel how everything he touches turns to skittles, in the same way King Midas turned everything he touched to gold. But is it awesome when you can’t hold your baby in your arms? How could Tim feed and dress himself? He can’t shake anyone’s hand, answer the phone or stamp his hand on his desk, without skittle consequences. It’s much simpler to budget for Skittles. 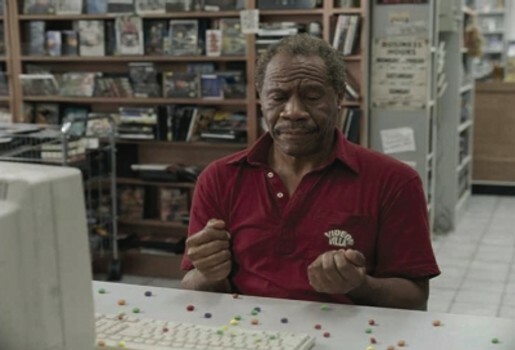 The Skittles Touch ad was developed at TBWA/Chiat/Day New York by executive creative director Gerry Graf, group creative directors Ian Reichenthal and Scott Vitrone, art director Craig Allen, copywriter Eric Kallman, senior agency producer Nathy Aviram. Filming was directed by Tom Kuntz via MJZ, with producer Scott Kaplan and executive producer Jeff Scruton, and editor Gavin Cutler at Mackenzie Cutler. Visual effects were engineered at The Mill by Flame artist Angus Kneale and VFX producer Wendy Garfinkle. Colorist was Tim Masick at Company 3. Sound was mixed by Phillip Loeb at Sound Lounge.